SOLD OUT CROWD GIVES BACK IN A BIG WAY! Thursday, March 8, 2018, The H Foundation had the opportunity to welcome a sold-out crowd of 300+ guests to the LaGrange Theatre for our first ever Comedy for Cancer event. We are happy to report that the event was a GREAT SUCCESS with amazing food, hilarious comedians, and of course dollars raised in support of basic science cancer research! Hope to see you all next year! If you would like us to send you updates about our events please signup for our email newsletter on the homepage. Pat is a stand up comedian and television host from Chicago. In 2015, he made his second appearance on “The Late Show with David Letterman”. 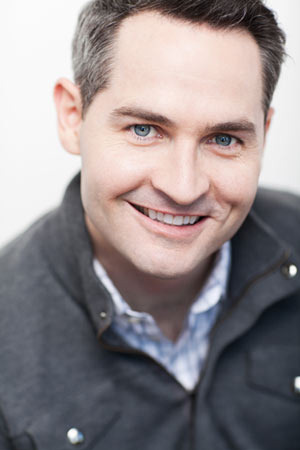 Pat created and hosted the Emmy nominated television show “The Chicago Stand Up Project”. He has been invited to The Great American Comedy Festival, Laugh Fest, The Lucille Ball Comedy Festival and has been heard on the nationally syndicated “The Bob & Tom Show” as well as seen on AXS-TV’s “Gotham Comedy Live”. His debut comedy album “Sounds Good” can be heard on Sirius/XM radio. 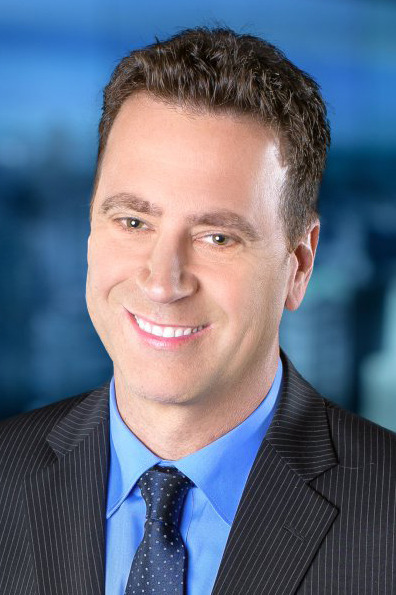 An integral part to WGN Morning News (9-10am), Mike Toomey serves as the “Announcer” for the show. He started out doing bits on WGN Morning News in 2003. By September 2013, Mike had become an everyday part of the show. A regular performer on WGN Morning News, Mike has appeared in concert with such names as George Carlin, Wayne Newton, Crosby, Stills & Nash, and Reba McIntyre. He has performed on numerous television programs including; HBO’s U.S. comedy Arts Festival in Aspen Colorado; MTV’s Half Hour Comedy Hour; and A&E’s Comedy on the Road. With his sharp delivery, quick wit, and unique style, Mike Toomey has been a favorite at comedy clubs and special events since 1982. Mike grew up in Carol Stream. He has volunteered with Cal’s All Star Angels Foundation, an organization that grants wishes to kids fighting childhood cancer. Mike lives with his wife and four children in the Chicagoland area. Prior to coming to WGN, Ana spent nine years at Univision, starting as a general assignment reporter in the Chicago affiliate WGBO and working her way up to network correspondent for Univision’s national morning show based in New York. 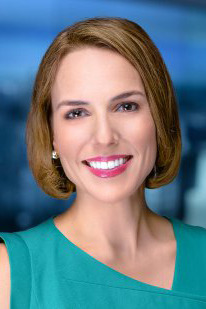 While at Univision, Ana was nominated for an Emmy for her reporting series “Ana Lo Hace,” in which she performed various jobs held by Hispanics in Chicago. While in Chicago, Ana was also a weekend anchor and general assignment reporter. Ana is three-time Emmy winner and four-time Emmy nominee. She was also a finalist for the Peter Lisagor award for the special story, anabelaval.com. In 2001, Today’s Chicago Woman selected Ana as "A Woman to Watch" for her accomplishments in the media industry. Ana is involved with the Susan G. Komen Breast Cancer Foundation’s Dancing with Chicago Celebrities created by Arthur Murray Dance Studios.bShe received a Bachelor of Arts degree in Journalism from American University in Washington D.C. Ana was born and raised in San Juan, Puerto Rico and is very proud of her heritage. She recently gave a TedX Talk about how she found success embracing 2 cultures and 2 languages. She now lives in Chicago with her husband and 2 children. Ana shows her comedic side when performing her stand-up routines at various spots around the city including Zanies Comedy Club and Mikey O Comedy Productions. Pete has been a Chicago radio personality for almost 20 years. Born in Peoria, IL, number 6 out of 12 children (1 shower). While in college at Bradley University in Peoria, he started working as morning show producer. He then went on to host mornings in Rockford, Il, then eventually moved to Chicago. Pete made his mark working at WCKG, the Loop and now the legendary 720AM WGN Radio. You can see Pete on television weekly alongside Lou Canellis during football season for Bears pregame “Fox Kickoff Sunday.” He is an Emmy Award winning television host for “24/7” which aired on NBC Chicago. Pete is very active in charity work, for Susan G. Komen Chicago, Easter Seals Peoria and One for the Kids Chicago. Pete is married with a family and lives in the city. Special Appearances Added to the Lineup! The Mother Cluckers is La Grange's premiere female stand-up and storytelling troupe. They are also LaGrange's only stand-up and storytelling troupe. Founded in 2017 by KT Speetzen, The Mother Cluckers brings over 30 rotating Chicagoland comics to LaGrange every third Thursday for comedy for parents, and people who've had parents. Live Pete Show is the best lounge/stage show in Chicagoland. Pete’s “One Man” vocal/guitar invasion is everyone’s favorite. Styles from Sinatra to Presley with all stops in between.